Born on January 13, 1938. Jean Cabut was a French comic strip artist and caricaturist. Cabu started out studying art at the École Estienne in Paris and his drawings were first published by 1954 in a local newspaper. The Algerian War forced him to be conscripted in Army for over two years, where his talent was used in the army magazine Bled and in Paris Match. His time in the army caused him to become a strident anti-militarist and adopt a slightly anarchistic view of society. In 1960, after he left the Army, he became one of the founders of Hara-Kiri magazine. In the 1970s and ’80s, he became a popular artist, collaborating for a time with the children’s TV programme, Récré A2. 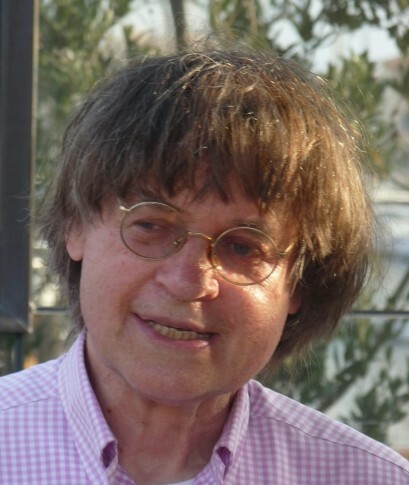 He continued working in political caricature for Charlie Hebdo and Le Canard enchaîné. His popular characters include Le Grand Duduche and adjudant Kronenbourg, and especially Mon Beauf. So spot-on was this caricature of an average, racist, sexist, vulgar, ordinary Frenchman that the word ‘beauf’ (short for “beau-frère” i.e. brother-in-law) has slipped into ordinary use. In February 2006, a Cabu cartoon which appeared on the cover of Charlie Hebdo in response to the Danish cartoons affair caused more controversy and a lawsuit. It depicted the Muslim prophet Muhammad, under the caption “Muhammad overwhelmed by fundamentalists”, crying: “C’est dur d’être aimé par des cons !” (“So hard to be loved by jerks!”). From September 2006 to January 2007, an exhibition entitled Cabu and Paris was organised by Hôtel de Ville, Paris. Cabu was the father of the French singer/songwriter Mano Solo (24 April 1963 – 10 January 2010). The cartoonist was killed, along with nine of his colleagues and two police officers on 7 January 2015 in the Charlie Hebdo shooting when armed gunmen stormed the newspaper’s offices in Paris.